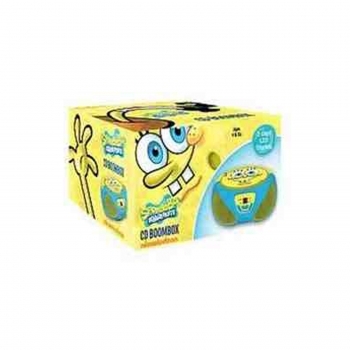 Thinking about a trip to the beach, park, or just some time in the yard with your child, well, this SpongeBob boombox is the perfect accessory to enjoy all your child's favorite sing along. This SpongeBob boombox functions with 2 Digit red LED displays that shows the current CD track number. An AM/FM radio is included, as well as built-in speakers. The CD boombox runs on either the AC Cord or 8 C batteries, allowing for portability.